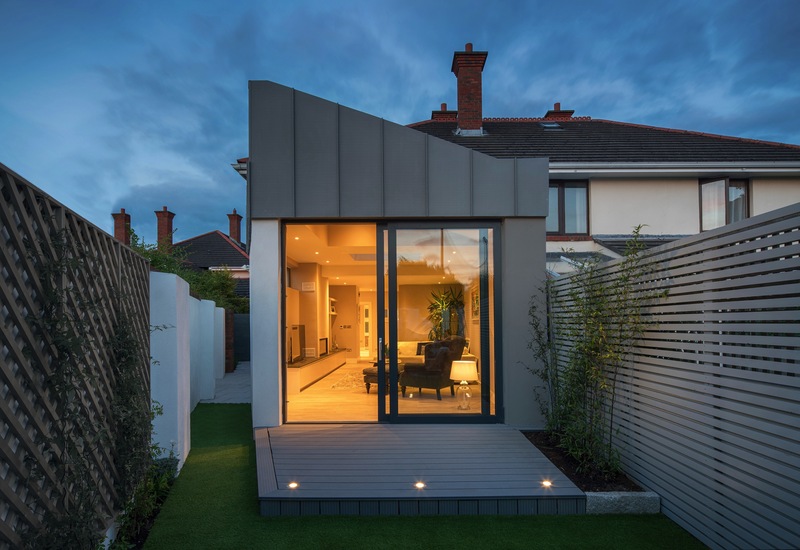 Extension, refurbishment and internal alterations to existing semi-detached house in Sandymount, Dublin 4. 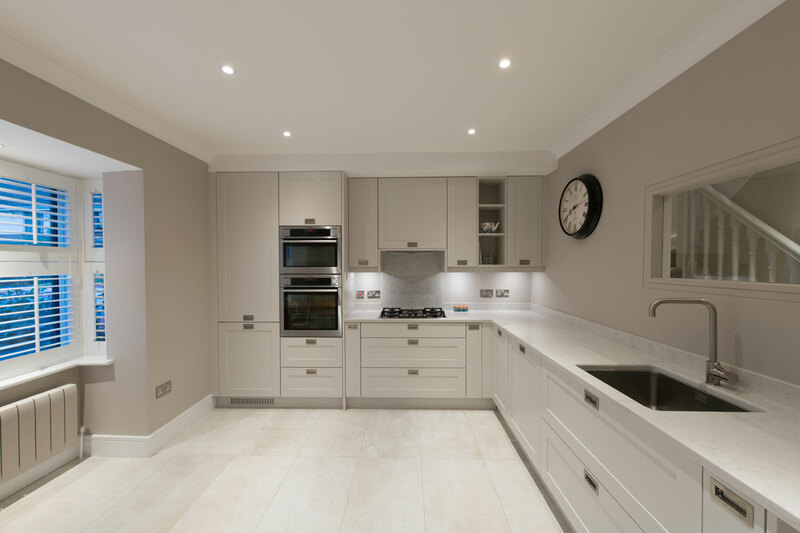 This project involved extension, full refurbishment and internal alterations to an existing semi-detached house. The brief was to create a new plan living arrangement which extends into the garden. 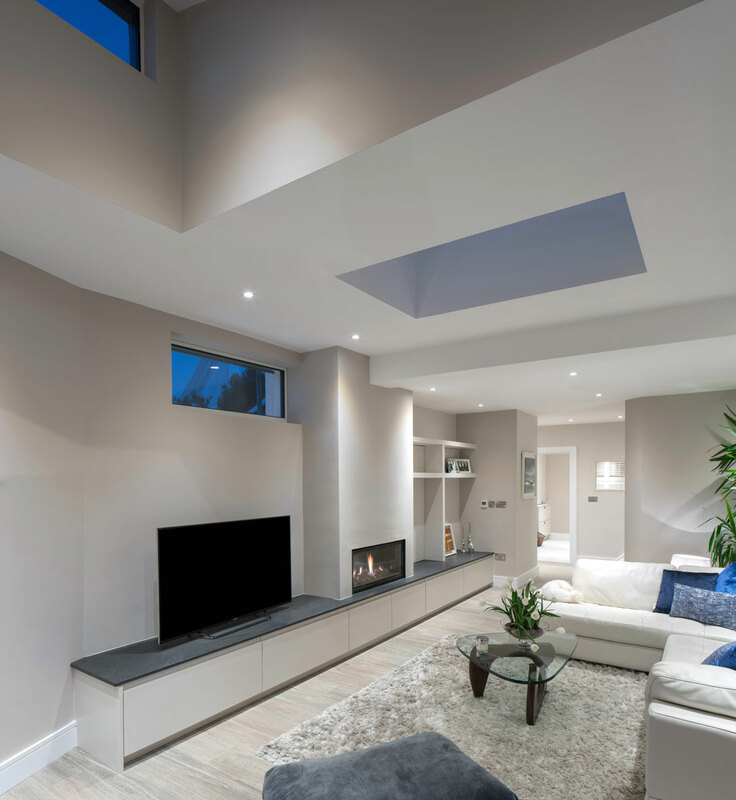 The roof was designed to allow as much sunlight as possible into the extended plan.